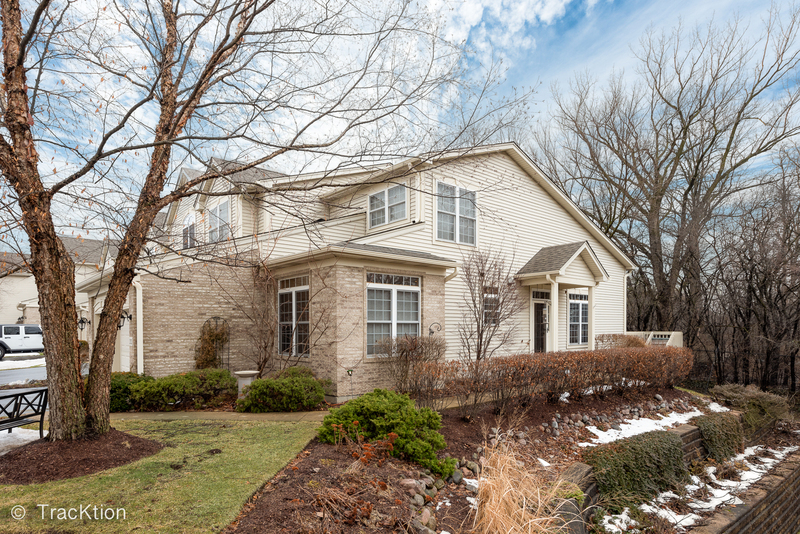 This lovely townhome features 3 levels of living space and an ideal Downers Grove location! Quiet end unit and on a cul-de-sac with a secluded feel! The sunny, large kitchen has hardwood floors, tons of counter and cabinet space with ample room for a large table. First floor master bedroom has high ceilings, walk-in closet and ensuite bath with double sinks, jacuzzi tub and separate shower. Beautiful living room with 18 foot ceilings and oversized windows offer great light with cozy gas fireplace, while sliding glass door opens to the deck. First floor laundry. Second floor has large bedroom, full bath and loft space - perfect for office, family room or can be closed off for an additional bedroom. Finished basement with family room, storage area, bathroom and space for an additional bedroom or office. New roof, A/C, and hot water heater. 2 car garage with room for storage plus attic space. Carefree living and close to shopping, dining, train and downtown Downers Grove!